You’ve heard it before: warm up, listen to your body, build gradually, but how can you do that while you avoid running injuries? It’s tempting after lacing up and seeing the open road ahead, to go all out. But pushing past the point of exhaustion and racking up the miles too soon only leads to injury. To ensure a strong, pain-free finish, use the tips below to reduce your risk of running errors. You know how crucial it is to stretch if you want to avoid running injuries. But you also need to know not to take it too far. Instead, save moves like deep lunges, butterfly holds, and hand-to-toe hamstring pulls for a post-run release. If you’re running a long distance, like a half marathon, deep stretching during a warm-up could do more harm than good. For example, having someone push you forward for a deeper stretch fires off spindle cells and golgi tendon organs, which can make your muscles feel sluggish—meaning it’s tougher to g et moving. Warm up with a 3-5 minute gentle walk followed by a 5-minute run-walk, says Jeff Galloway, an Olympian who has coached over 1 million runners to their goals. If your usual run:walk ratio is a 3:1 use the first 5 minutes of warm-up as a chance to slow things down to a 1:1 ratio. Gradually ease into running slowly for another 5 minutes before picking up the pace and moving into your goal. If you’re fresh off the couch, give yourself enough time to train and prepare. “The first week looks great because your body is fresh from not being active, but during the second and third week, the body starts to break down,” says Jenny Hadfield, running coach and author of Running for Mortals: A Commonsense Plan for Changing Your Life with Running. 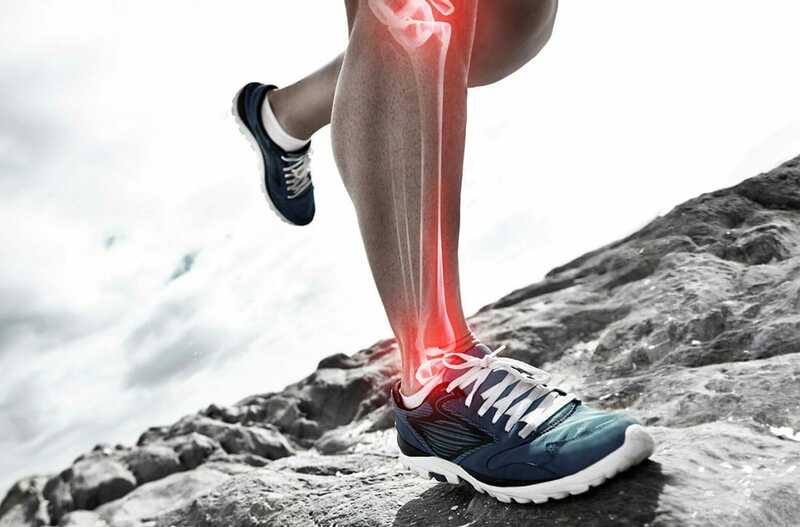 Doing too much too soon can lead to common overuse injuries such as shin splints, knee injuries and burnout. If you’re active but new runner, you’re probably fit but haven’t mastered the biomechanics of impact running. This is crucial is you want to avoid running injuries. So give yourself 6-8 weeks of running 3-4 times per week before jumping into a half-marathon training program. Your best bet: weave running into an activity you’re currently doing. Turn a 40-minute bike ride into 15 minutes of cycling followed by 10 minutes of running and finished off with 15 additional minutes on the bike. Your body is designed to come back stronger in response to small amounts of change. So, once you’ve hit your groove, you can start increasing mileage slowly. Try increasing your mileage by increments of 1-2 miles at a time. Sure, it will get you to the finish line faster, but speed work isn’t always your friend if you plan to avoid running injuries. Pushing too hard out on your runs, too frequently, can lead to overuse injuries like shin splints, stress fractures and sprains. After a grueling workout, give your body a break in order to come back strong. If you’re new to running, build a foundation of cardiovascular and biomechanical fitness through a run-walk program. Focusing on pace alone can be deceiving and derail your workout. A tempo run with headwind could make a normal pace much harder than usual. Trying to maintain it could push you past the red line fitness level—the point where your body starts to use more glycogen versus oxygen. At that point, you’ve negated the tempo workout and turned it into an interval run. Don’t measure your mileage by setting an 8-minute pace—try going for distance instead. “Pace has nothing to do with what’s going on in your body,” says Hadfield. “If you want to run with purpose, it’s truly about the effort level.” Aim to have your effort level alternate between three zones: yellow, orange, and red. At yellow, you should be able to hold an easy, conversational pace; at orange; you’re down to blurting out one-word answers; and when you’re in the red zone, you don’t even want to think about talking. Slow down, fast feet. The only time you need to run for speed is when you’re training for a time goal, like getting seeded for a 10K or qualifying for a marathon. Then, speedwork is key in enabling the body, mind, and spirit to perform at a higher level. While there’s always a slight breakdown of ligaments, tendons, muscle cells, and fibers, a gradual increase allows the body to repair and rebuild stronger. Only run at a pace that’s 30 seconds/mile faster than your goal pace for the race. After each repetition allow for a rest interval to allow the body to recover. To do a 5K or 10K, walk ½ a lap. If it’s a half marathon, walk for 3 minutes. When it comes to a full marathon, allow for a 5-minute walk break. Improper form is usually a result of runners trying to assume an unnatural posture. Most people run upright—head over shoulders and hips—and yet they decide to lean forward. An unnatural lean can cause back, neck, and hip pain. Ditch the fads, and run in a way that’s natural for you if you want to avoid running injuries. Look ahead, keeping your upper body relaxed and upright. Maintain a short stride length; land mid-foot and work towards a quicker cadence. With those pieces in place, your body will settle into its gait and you’ll find that natural rhythm your body craves. Follow these 6 simple tips to avoid running injuries and enjoy the open road.